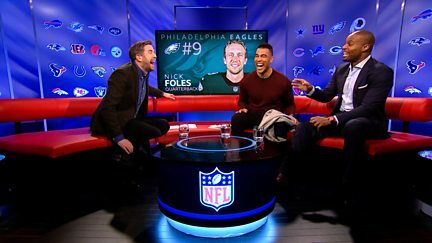 Mark Chapman discusses the major stories shaping the NFL season. 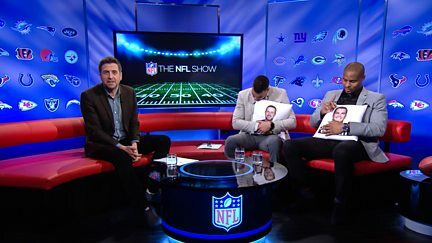 The NFL Show returns with a preview special ahead of the new season. With highlights of Thursday night's game between the Miami Dolphins and Baltimore Ravens. 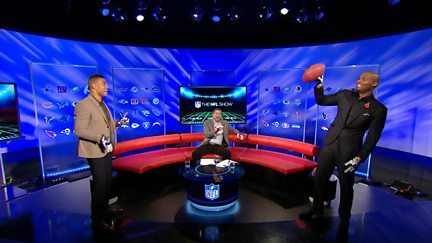 Including the highlights from the game between the New York Jets and the Buffalo Bills. 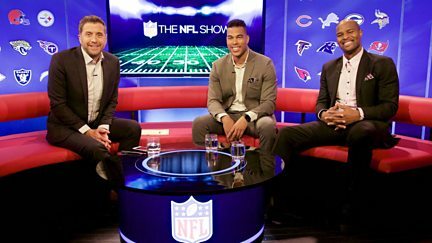 Mark Chapman, Osi Umenyiora and Jason Bell discuss the latest talking points from the NFL. 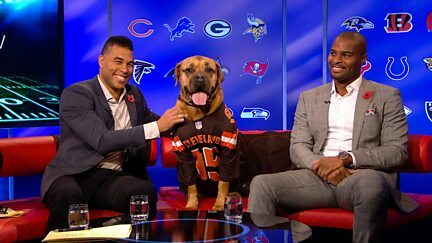 Mark Chapman, Osi Umenyiora and Jason Bell with highlights of Thursday night's game. Highlights of the game between the Dallas Cowboys and the Washington Redskins. 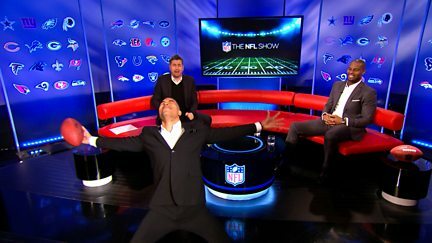 Including highlights of Denver Broncos v Indianapolis Colts. 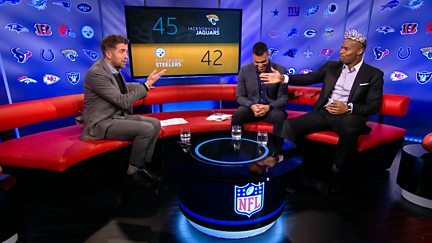 Mark Chapman, Osi Umenyiora and Jason Bell preview the wild card playoff fixtures. 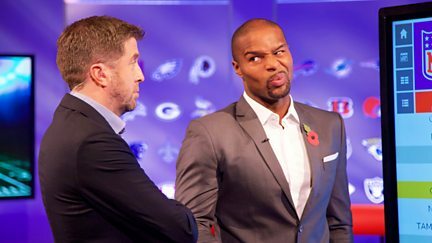 Mark Chapman, Osi Umenyiora and Jason Bell with all the best bits from Wild Card weekend. 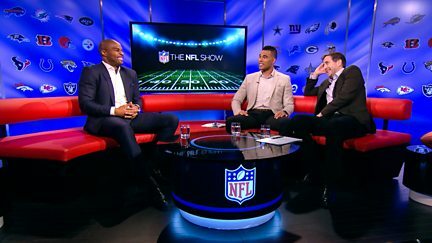 Mark Chapman, Osi Umenyiora and Jason Bell discuss the latest action from the NFL. 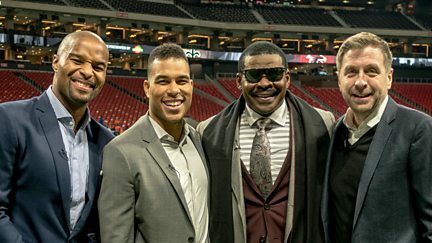 Mark Chapman, Osi Umenyiora and Jason Bell discuss the upcoming Super Bowl LII. 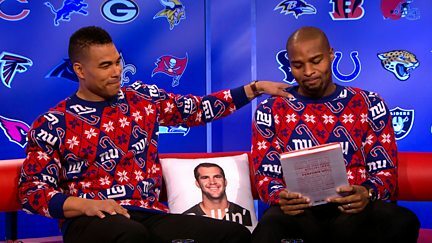 Osi Umenyiora and Jason Bell join Mark Chapman in Minnesota ahead of Super Bowl LII.